An annuity is an income that is paid to the recipient on a yearly basis, purchased with a capital lump sum. Annuities were typically bought with a person’s pension fund, although they can also be purchased with investment monies, with the aim of ensuring a steady stream of income in their later years. They can either be paid for the rest of someone’s life or for a fixed term, and come in two main types: fixed or variable. Fixed annuities pay out the same amount for each payment, while variable annuities can go up or down in value depending on the market. Asset Allocation is the term given to the way that an individual’s money is invested, according to the proportions invested into different types of assets such as equities, property, fixed interest securities and cash deposits. The investment adviser will typically look at the client’s age and goals and invest their money in a mix of assets most suited to meet those goals, taking into account the overall level of investment risk desired. A person’s attitude to risk is one of the principal determining factors when it comes to how their money is invested. Low-risk means investing mainly into conservative assets that are intended to grow steadily with little volatility. Medium-risk means investing a good proportion into assets that are intended to grow faster than inflation (e.g. equities, property and commodities) but which will result in a higher level of volatility, while high-risk investments are those which offer the greatest growth potential, but which also have a higher risk of suffering large capital losses at times of market stress. Typically, a low-risk portfolio will offer the lowest returns, while a high-risk one has the potential to earn much larger rewards – but with much greater risk to capital. Bespoke is the term given to something that has been made to order or adapted for a specific user or purpose. Financial Planning enables a business or organisation to determine how it will fund its strategic goals and objectives. Once the business’ vision has been laid out, a Financial Plan will be drafted and implemented with the aim of achieving that vision and solving foreseeable problems. The title of “Chartered” is conferred by the Chartered Insurance Institute (CII) upon individuals and organisations which meet strict qualifying criteria. 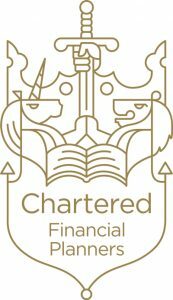 A Chartered Financial Planner is defined by the CII as applying to appropriately qualified Personal Finance Specialist members who provide Financial Planning advice or related activities to individuals or corporate entities. The Chartered Institute of Insurance is a professional body whose aim is to ensure the integrity and professional competence of its members through the most rigorous of selection criteria. Membership is open to anyone working in insurance or financial services, or studying to do so. The Chartered Insurance Institute has the right to grant specific “Chartered” titles once membership has been granted. The Chartered designation is awarded to members who hold either the Advanced Diploma or Fellowship and have a minimum five years’ industry experience. These titles remain the gold standard for individuals or businesses working within the UK financial sector. A diversified portfolio requires assets to be spread across a number of distinctly different types of assets, thereby minimising the overall risk of the portfolio by making the weight of any given asset class smaller in relation to the entire portfolio itself. Asset classes may include equities, fixed interest securities, commodities, international investments, cash or property, as examples. Employee Benefits offer a way to attract and retain quality employees by offering rewards in addition to salary. These types of non-wage compensation may include group life/health insurance, retirement benefits, profit sharing and other specialised benefits. The right to an economic benefit, granted by contract or law, automatically upon meeting the required qualification. Equities are shares in companies listed on a stockmarket, representing the owner’s interests in a given corporation. Each equity represents a claim on a proportionate share of the corporation’s assets. The term refers to the actions taken during a person’s lifetime to anticipate and arrange for the disposal and management of their assets in the event of their death or incapacity. Exemptions are deductions allowed by law to reduce the amount of income and/or capital that would otherwise be taxed. An exit strategy is a contingency plan for disposing of assets in order to realise the value of the investment made once certain pre-established criteria have been met or exceeded. The method and timing chosen are usually carefully considered to maximise profit. The Financial Conduct Authority is an independent regulatory body which monitors the UK’s financial services industry. Its role includes protecting consumers, keeping the industry stable, and promoting healthy competition between financial service providers. It is accountable to the Treasury, but remains independent of the Government by charging fees of the companies it regulates. Once financial independence is reached, your personal wealth is such that you no longer need to work in order to maintain your lifestyle. In short, sufficient income is generated from personal assets to exceed outgoing expenditure. Financial Planning is essential to ensure an individual’s (or entity’s) outgoing cash flow does not exceed its income, that wealth can be built over time and to try and ensure that future financial objectives can best be achieved. A comprehensive plan requires a full evaluation of an individual or business’ current and future financial position to ensure stability or growth and can also cater for ‘what if’ scenarios. An instrument used to loan money to a company or Government in exchange for regular ‘fixed’ interest payments. A fixed interest security provides a specified rate of interest and thereby an investment income that does not change over the life of the loan. A sum of money or other financial resource set aside for a specific purpose. The term is also often used to refer to an account or collection of financial interests of a specific group or organisation. An independent financial advisor is a professional with an expert knowledge of financial products and markets. The advisor acts in an impartial capacity, recommending suitable financial products from across the available marketplace to their clients, as part of an overall Financial Plan. An inheritance is the share of someone’s assets or estate which passes into the ownership of a beneficiary upon death. A tax levied on the inheritance of money or assets upon taking receipt of those assets and paid by the recipient. The rate is calculated as a percentage of the net worth of those assets in excess of a given threshold. All investments have a level of risk associated with them owing to the unpredictability of financial markets. An investor will calculate the probability of the return on any investments and the risk of that return being lower than expected, thereby quantifying the investment risk of any venture. Investment Risk therefore, is the measure of uncertainty of achieving the desired returns as per the expectations of the investor and the risk of suffering a capital loss. All investments carry a degree of risk, since investment return cannot be guaranteed. An investment represents the purchase of an asset or financial product with the expectation that it will appreciate in value and/or generate future income. An ISA is a savings account which allows an individual to hold cash or stocks without paying tax on income or gains. An Equity ISA invests in equities or stocks and is managed by an investment group. A Cash ISA is a deposit account with a Bank or Building Society that allows the saving of a sum of money upon which tax-free interest accrues. ISAs were introduced in the UK in 1999 and replaced Personal Equity Plans (PEPs) and Tax-Exempt Special Savings Accounts (TESSAs). Legislation is the process or making or enacting laws. It can also be used as the collective term for a group of laws pertaining to a single issue, e.g. housing legislation. Long Term Care is a term encompassing those services, both medical and non-medical, which meet the needs of individuals with a chronic illness or disability requiring constant supervision over a substantial period of time. Market volatility is the degree of variation of trading prices measured over a specific timeframe. It is usually measured by the ‘standard deviation of returns from the expectation’. Defined by the NHS as a care package arranged and funded solely by the NHS for individuals who are not in hospital and have been assessed as having a “primary health need”. It can be provided both in the patient’s own home or in a care home, and constitutes personal care and healthcare delivered either by a community nurse or specialist practitioner or in a home with board and accommodation. Where investment in the advice or product offered is not compulsory. A sum of money received by individuals who have retired from paid employment or have reached the government’s pensionable age. Payment usually takes the form of a regular weekly or monthly income, but may be a lump sum. There are three main types of pension scheme, being those operated by the Government of a country, occupational pensions and personal pension funds. A State Pension (paid by the Government) entitles the individual to an ‘old age’ pension on reaching a pre-determined age. These State Pensions are usually based on the individual’s National Insurance Contribution record over their working life and may be also include an additional amount. An occupational pension is operated by an individual’s employer, whereby the employee and employer make regular contributions to a pension fund run by a third party. Upon retirement, the individual receives regular payments related either to their length of service with the employer or the value of the fund on retirement. A personal pension fund or plan operated by a third party which provide bespoke pension arrangements for individuals based upon their personal circumstances. This type of pension arrangement is not tied to a particular employer and can move employers with the individual. A pot of money from which payments will be made to the owner upon reaching pensionable age. The term may also refer to a financial institution that specialises in the management and administration of personal and corporate pension schemes. These funds collect regular contributions from individuals, employees and employers, depending upon the type of pension, and can be used to make payments to retired beneficiaries. The professional body for the UK financial planning profession and part of the Chartered Institute of Insurance. Personal Injury Trusts are trust funds set up with the compensation paid as a result of a personal injury. They can be used to ensure that an individual does not lose their entitlement to any means-tested State Benefits and for individuals that don’t have the capacity to deal with their own financial affairs. Philanthropy refers to the practice of a wealthy individual or company donating money to charities or programs established to help others. On occasion, the individual will establish their own initiative based on a concern of particular personal importance. A collection of assets or investments kept with the goal of increasing their worth over time. If you own more than one investment, you own a portfolio. A document executed by one person (the principal) authorising another to act as his or her agent and on his or her behalf for any legal purposes or for specifically defined tasks e.g. on losing capacity to deal with their financial affairs. The control of economic activities by the Government or an industry-specific regulatory authority. Retirement Planning involves the determining of an individual’s retirement income goals and the drafting and implementation of a strategy designed to achieve those goals. The strategy would normally include identifying sources of income, estimating future expenses and establishing savings or an investment portfolio. The amount of revenue generated by financial investments over a specified period of time. This revenue is usually shown as a percentage of the original investment. A re-examination of a financial plan and/or investment portfolio. Savings are the share of an individual or organisation’s wealth not used on current consumption. A share represents the smallest portion of ownership in a corporation, fund or other investment vehicle. Shares can only be bought or sold through an exchange such as a stockmarket. The Government defines your State Pension Age as the earliest age at which you may start receiving your State Pension. This age may differ to the age at which you can claim payments on any personal or workplace pensions. It is calculated using your gender and date of birth. A stock market may be a physical or electronic forum, where brokers buy and sell stocks, bonds and other derivatives in listed companies. Stocks are equity or fixed interest ‘stock’ investments representing a share in ownership of a company or security listed on a stockmarket. The investment entitles you either to a percentage share of the company’s earnings and assets and may pay a regular dividend, or a ‘fixed interest’ payment. Succession Planning is conducted by corporations to ensure the smooth passing over of key leadership roles to new members of staff in the event of the departure of key individuals. Tax efficiency is an attempt to minimise tax liability for any given asset, investment or financial product. A financial product is said to be tax efficient if it incurs less tax than other similar products. The amount an individual or corporation owes in taxes to the government in any given financial year. A trust is a legal arrangement whereby the right to hold or invest property or assets is transferred to persons or an organisation, known as the Trustees, for the benefit of someone else, known as the Beneficiary. 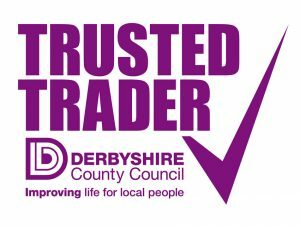 A trusted trader scheme is a directory of local businesses which have been vetted by Trading Standards. The aim of the scheme is to increase consumer confidence and improve local business practices. Traders must register to join the scheme, which checks their credentials and ability to conduct their trade. Membership to the scheme acts as a mark of quality for their services. An appointed agent who manages a Trust on behalf of a Beneficiary.